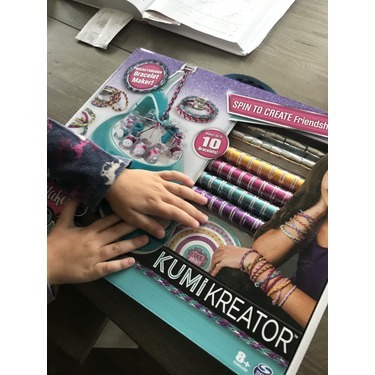 My husband and I purchased the Kumi Kreator for my daughter for Christmas. 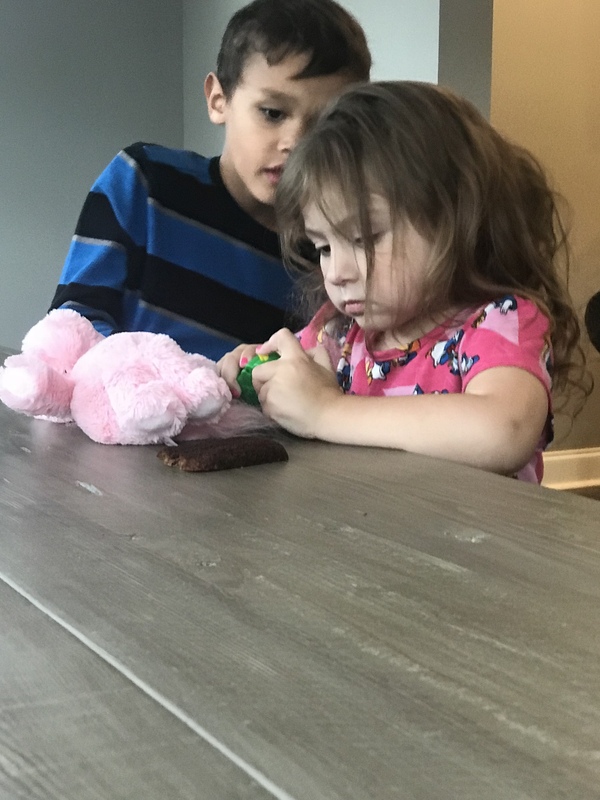 She had been asking for one for months and I had been very hesitant as I expected it to be cheaply made and something that would ultimately end up in the trash. I was vey pleasantly surprised when we purchased this. 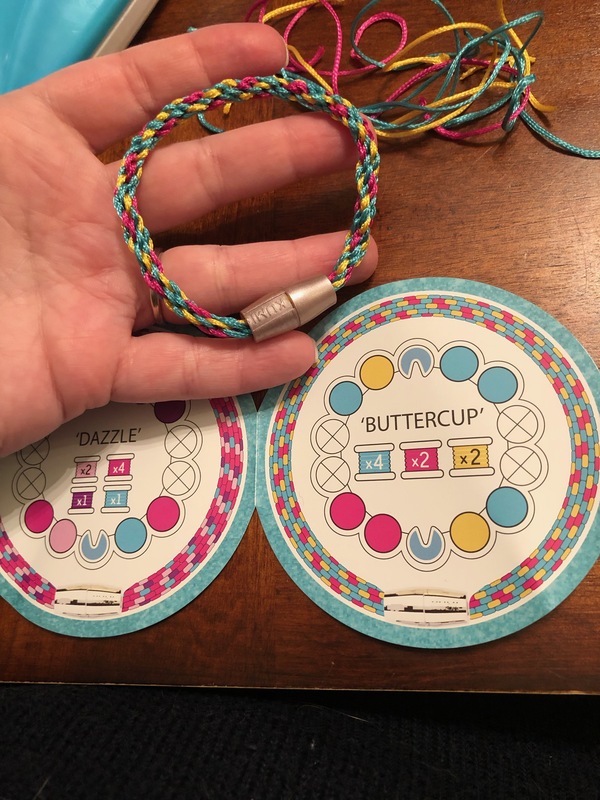 There is very little assembly required, and the instructions for making the bracelets are incredibly clear. 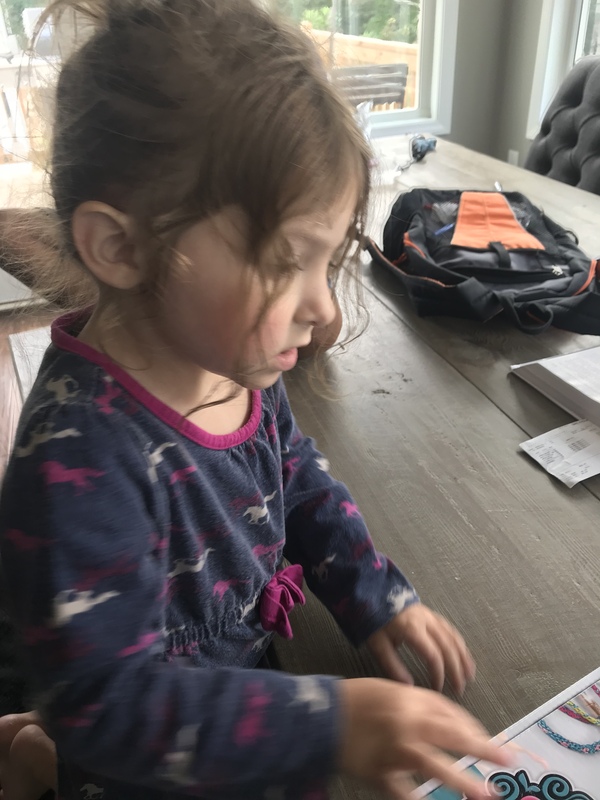 My daughter is 6 and she was able to look at the picture instructions and understand how to do most of the required tasks. 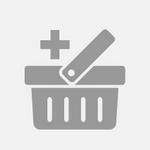 The string used is very good quality and I do not worry about it breaking. 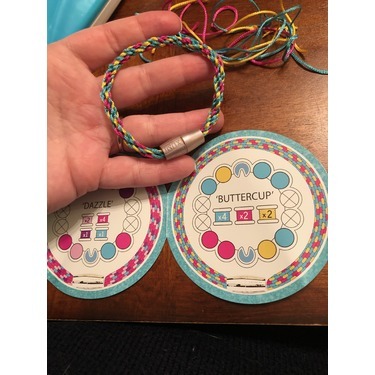 There are fun design diagrams to follow and you can switch up the colours to make your own unique bracelets. You can also purchase additional colour packs to make even more options. The only complaint I have is that the fasteners sometimes fall off the bracelet and need to be fixed. 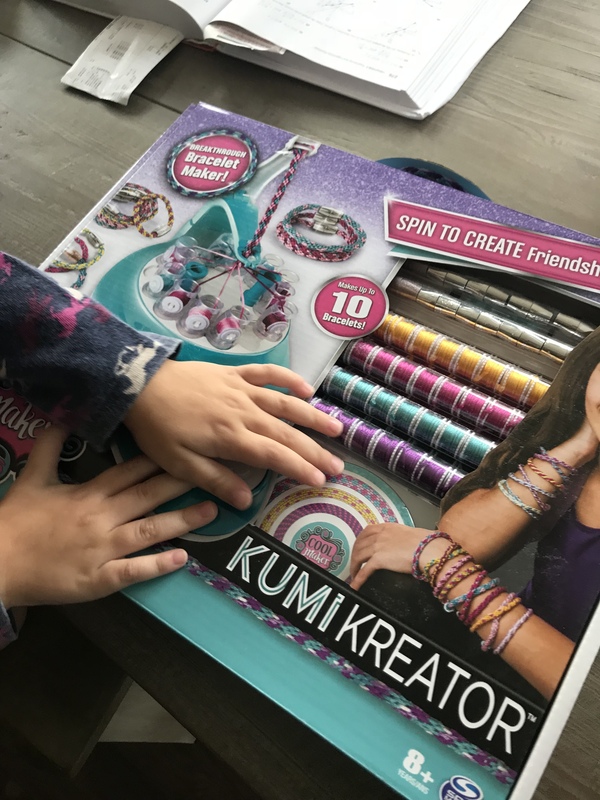 However, overall the Kumi Kreator is very fun and my daughter has enjoyed making bracelets for herself and her friends. 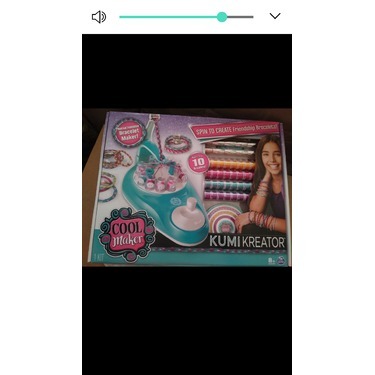 I got this for my 8 year old daughter. I showed her once how to use it and now she is on her own. 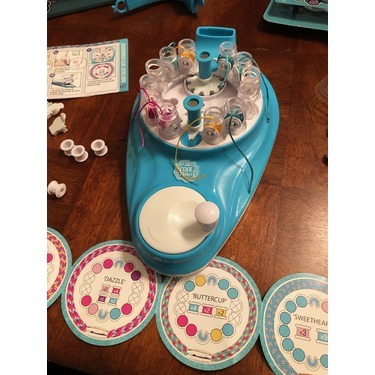 Very easy to use, and she loves making bracelets for everyone. My only issue is, I can't find the refills anywhere and we are now out! 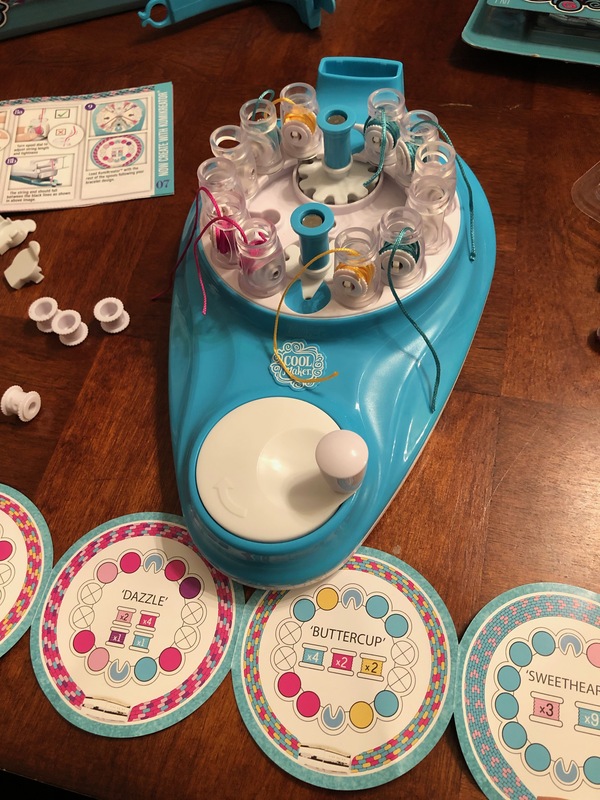 My 7 year old daughter received this for Christmas and can easily make beautiful bracelets mostly on her own. They all turn out nearly perfect, as the maker is so simple to use. 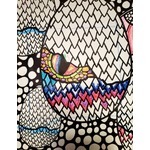 She loves all the patterns that come with the booklet. This cool bracelet maker makes Japanese friendship bracelets. 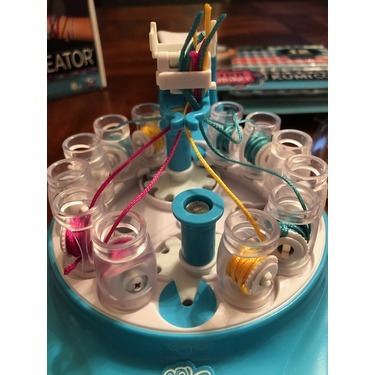 It comes with many different colors and 88 spools to make the bracelet. I received this as a free sample as long as I gave my review. It was a great toy. 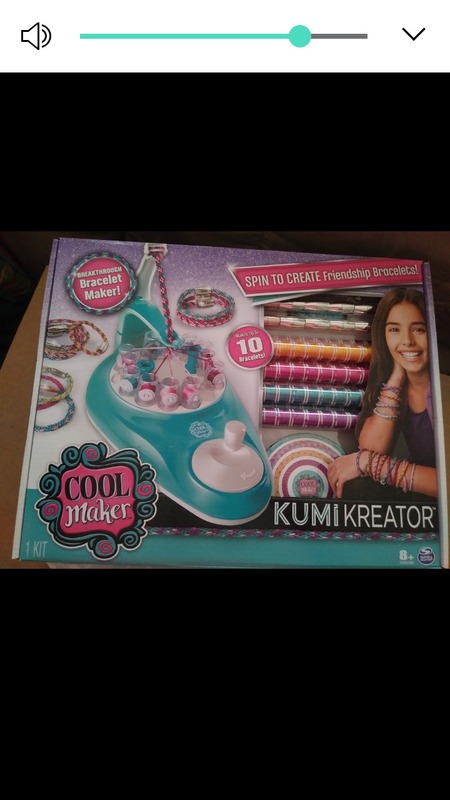 I received the COOL MAKER KUMIKREATOR FRIENDSHIP BRACELET MAKER the other week. My daughter set it up and tried it out. It was working ok at first, then it started getting stuck. My daughter did some changes and got it working right again. 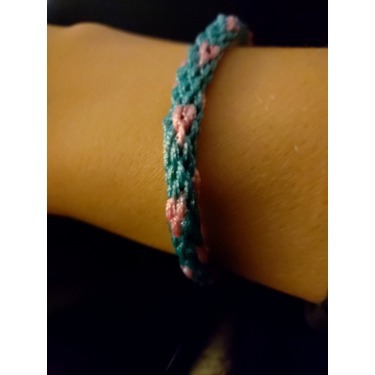 It makes small sized bracelets but she was able to fit them on her wrist. 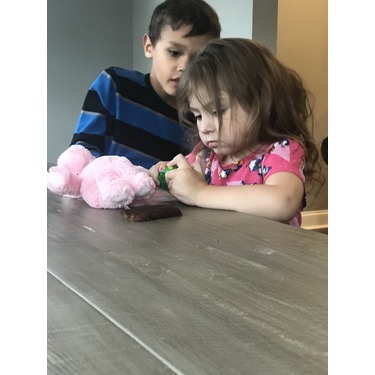 We received it free to test from Family Rated. 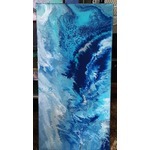 My daughter does love it. 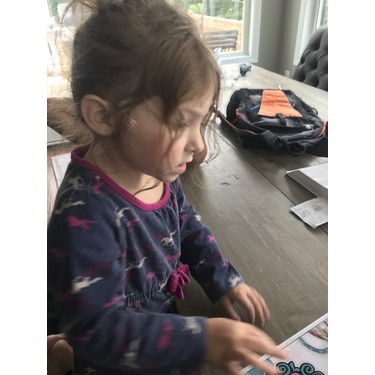 My daughter and I were so excited that we were given the opportunity to review this product for free. 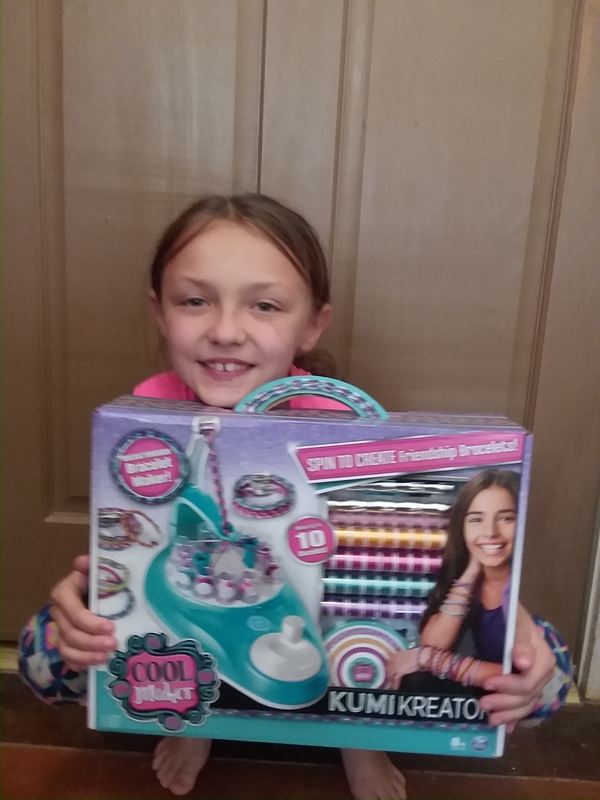 Well we recieved it, got it all set up even though the instructions were lacking and she made a cute bracelet. She tried several times to make another one but the strings kept getting jammed and were becoming a wasted mess. Tried to re thread it with new string and I gave it a try and it immediately jammed up again. So glad I didn't spend money on this. It was a no go for us. Maybe we just got a bad one out of the bunch. But from our experience I can't recommend this product to anyone. 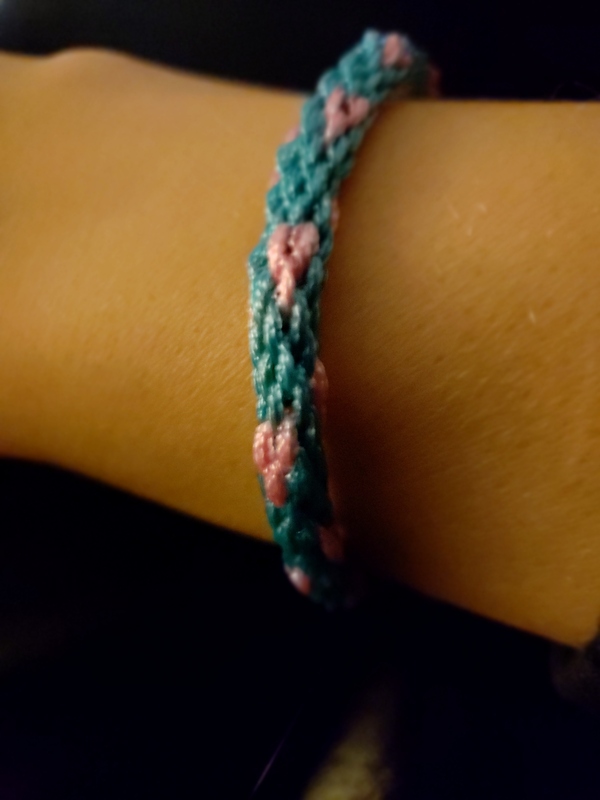 My daughter does not usually do too well with creating thread/knot bracelets. 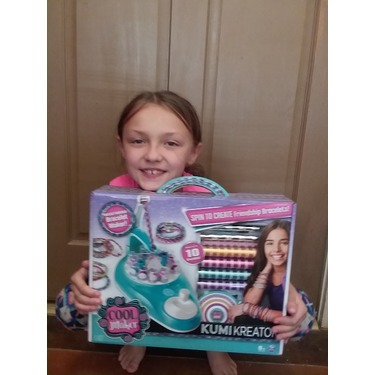 She made some amazing bracelets with this product. 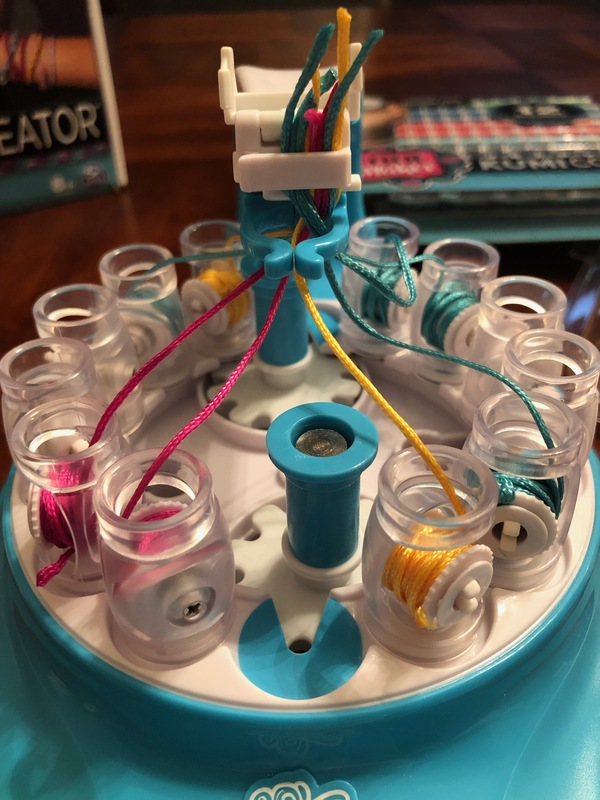 It helped keep the bracelet steady and eliminated the gapping that occurs from it twisting or the knots not being pulled tight enough on the kind of friendship bracelets I used to make. I love the variety of the thread included in the kit. The colors and quality of the bracelet are much better than the diy kind we have done. 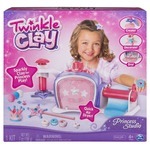 This would be a great gift for preteen girls!